Mouse hippocampal neural stem cells induced to proliferate in response to digested hyaluronan, supporting a novel mechanism for the control of neural stem cell maintenance with aging. Red = bromodeoxyuridine labeled cells; green = nestin positive cells; blue = DAPI-labeled nuclei. 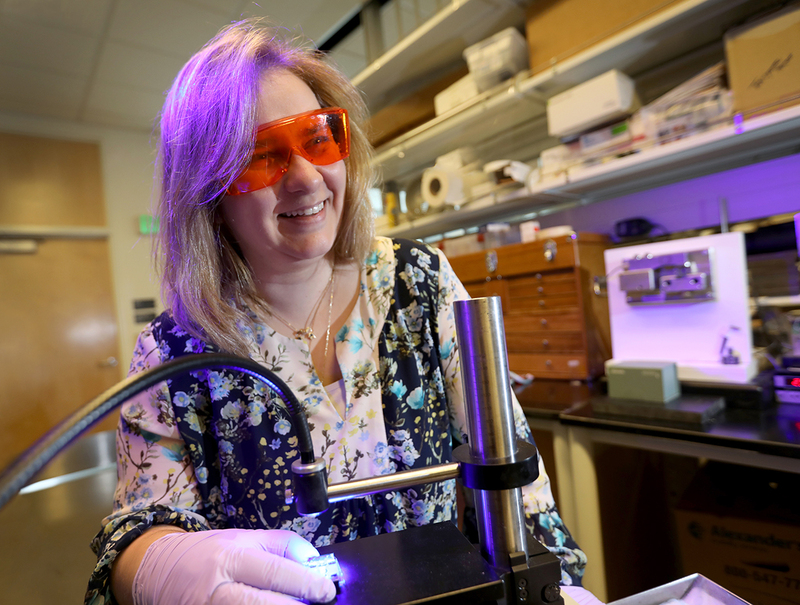 A breakthrough study by OHSU scientists demonstrates, for the first time, a mechanism that prevents the formation of new neurons in old brains. The discovery provides a new path for investigation that may lead to the prevention—and potentially the reversal—of age-related dementia by promoting the formation of neurons and preventing their decline. The production of neurons drops dramatically during aging, and the brain slows down. New reports continue to emerge that suggest—but do not prove—that strong social networks, learning a language, healthy diets, and exercise may slow the brain’s decline. These all contribute to overall health, but no cure has been found for age-related cognitive decline or the decreasing production of neurons. The new study, published January 31 online in the Journal of Biological Chemistry, was led by Larry Sherman, Ph.D., a senior scientist in the Division of Neuroscience at the Oregon National Primate Research Center at OHSU. The lead author of the study, staff scientist Weiping Su, Ph.D., has worked with Sherman on previous research on neurodegenerative disorders. Several years ago, Sherman’s lab discovered that hyaluronic acid, a major component of the material that surrounds most cells in the body, accumulates over time and is highly elevated in brains with various forms of brain injury, including some forms of dementia. In collaboration with Jacob Raber, Ph.D., in the Department of Behavioral Neuroscience at OHSU, Sherman’s group found that Interaction of the protein complex CD44 and hyaluronic acid is required for normal learning and memory. The team found that blocking hyaluronic acid activity promoted regeneration of neurons in mice. The researchers further provide evidence that hyaluronic acid contributes to age-related reductions in neural stem cell production in the hippocampus, where these stem cells proliferate, migrate, and differentiate into new neurons throughout life. 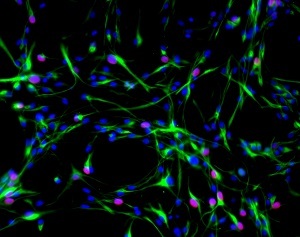 These stem cells, outside an old brain, still divide and still produce new neurons—just not very efficiently. This demonstrated that the cells continue to be able to produce neurons. The study, which builds on 15 years of research conducted by the Sherman lab, suggests that disrupting either the CD44 receptor or the hyaluronic acid itself may provide a way to promote new neuron formation in elderly animals and people. This opens up the possibility of not only preventing the loss of normal learning, but restoring loss that may have occurred. This work was supported by National Institutes of Health grants NS056234 (LSS), core grant RR00163 supporting the Oregon National Primate Research Center, grant P30-NS061800 supporting the imaging core at the Oregon National Primate Research Center, National Institute on Drug Abuse training grant T32 DA07262, and a grant from Vertex Pharmaceuticals.